One teenager was stabbed and another had his head split open with a baseball bat in a horrific attack near Conisbrough Castle. The two teenage boys, both from Doncaster, and who both suffer from autism, were thought to have been attacked as innocent parties in a case of mistaken identify involving what is thought to have been a pre-arranged fight between two groups of youths. Brandon Reilly and Daniel Peters, both aged 15, were taken to hospital after the incident, on Doncaster Road, at around 5.40pm, which has left both boys shocked and afraid. They had been out on a cycle ride together. Brandon's mum Kerry Houghton said: "They were hit with baseball bats and cricket bats and stabbed - they were hit with chains as well. My son was stabbed in the thigh and and hit with a baseball bat on his head. "We think the gang that was there was going to be fighting another gang, and thought that our sons were the other gang coming. "My son phoned me and said he'd been stabbed - I was just mortified. I didn't know what to say, other than ask him if he'd phoned an ambulance..
"The police arrived, and then they were taken to the Doncaster Royal Infirmary in separate ambulances. Me and Daniel's mum went straight to the hospital to meet them when they arrived. "When he arrived they had cut his jeans and put strips on the wound. He had his arm and leg x-rayed as they wanted to see how deep the wound was. He had a lump behind his ear, but he had covered his head when they hit him with a bat, but his elbow was hit. "Both boys are in shock - they don't normally go out much because of their disability. It's really knocked Brandon's confidence. He's been pale and quite, not his normal self." It is understood the ambulances were called by a group of teenage girls who came to help them. Daniel's mum, Leanne Westwood, said: "They'd gone for a ride and were heading to Conisbrough Castle and a group of boys were running away when they arrived. Our boys approached, and my son got head butted straight away. He was punched in the jaw and then had his head split with a baseball bat. He also had a puncture mark on his forearm. "I didn't know this sort of thing happened in Conisbrough. Someone is going to end up getting killed. People need to be warned. "Daniel is all right physically now, but what happened has shaken us all up mentally. "It could have been a hell of a lot worse, but I consider this a serious incident. "Daniel rang me at 5.30pm saying they were on their bikes and heading for Conisbrough Castle. The phone rang again just before 6pm and I thought it would be Daniel saying they were on their way back. It was the police. Getting that phone call is every parents worst nightmare. I just felt blind panic." She said the care the boys received when they arrived at hospital was brilliant. South Yorkshire Police said they thought groups of pupils from different schools organised a fight and the two boys were set upon in a case of mistaken identity. Inspector Dan McKnight said: "Our enquiries have now revealed that the two 15-year-old boys who were injured in Saturday evening’s incident were not involved in the disorder and were unfortunately mistakenly targeted. "This just highlights how dangerous this group’s behaviour was - two innocent parties were wrongly targeted, chased and assaulted. "Those involved on Saturday evening clearly intended to cause harm and injury to others and this is completely unacceptable. "We are working with the victims to provide support, as well as continuing to scour for CCTV footage and liaising with local schools. "We appreciate the support we have already had from the local community as we investigate this matter and continue to urge anyone with information about the disorder or those involved to contact police." 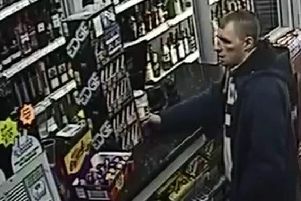 Anyone with information should call South Yorkshire Police on 101 quoting incident number 844 of January 20.